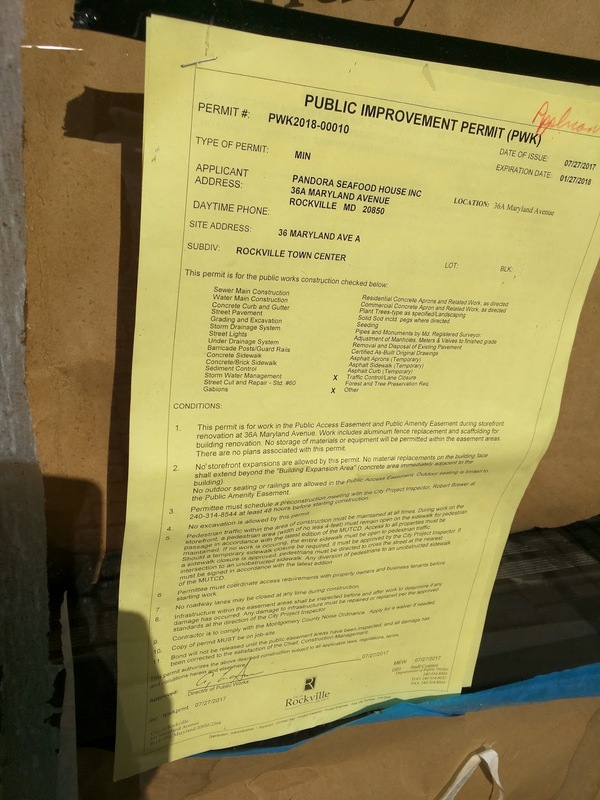 We still can't see the construction progress inside Pandora Seafood House, but another permit has appeared. 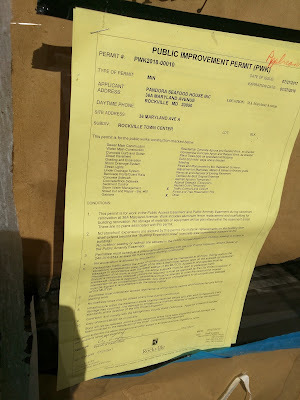 This is a public improvement permit. Pandora already requested a liquor license, and their hearing is scheduled for August 17. Pandora will be located at 36-A Maryland Avenue, at Rockville Town Square.